This is an FCC Class A device. Not intended for use in residential or domestic environments. 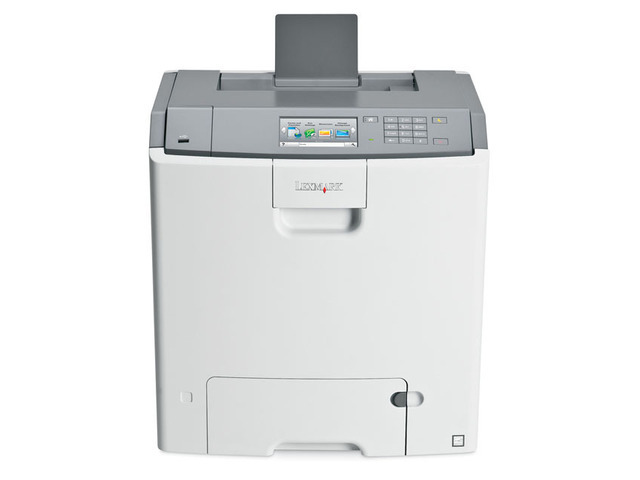 Lexmark C748de colour laser printer offers midsize workgroups high-quality colour printing and easy-to-use features. 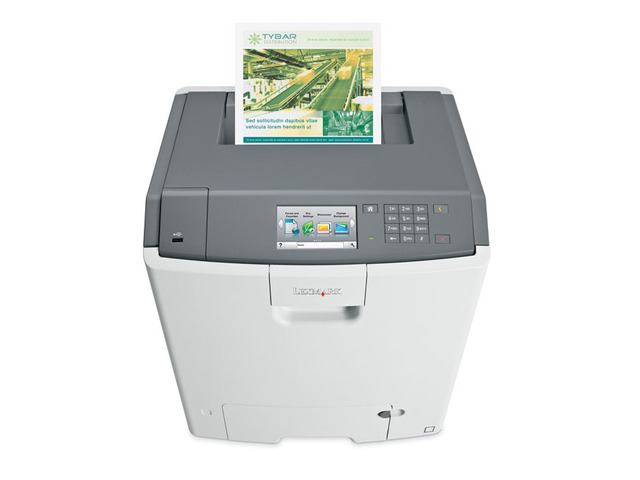 Eco-friendly features, like automatic two-sided printing, make responsible printing easy. The instant warm-up fuser reduces energy consumption and delivers a time to first page as fast as 9 seconds in both black and colour. Expand input capacity with optional paper drawers that let you load multiple paper types and boost total input capacity up to 4,300 sheets. Print responsibly with Eco-Settings that let you customise print settings and Hibernate Mode which reduces energy consumption to less than one watt. 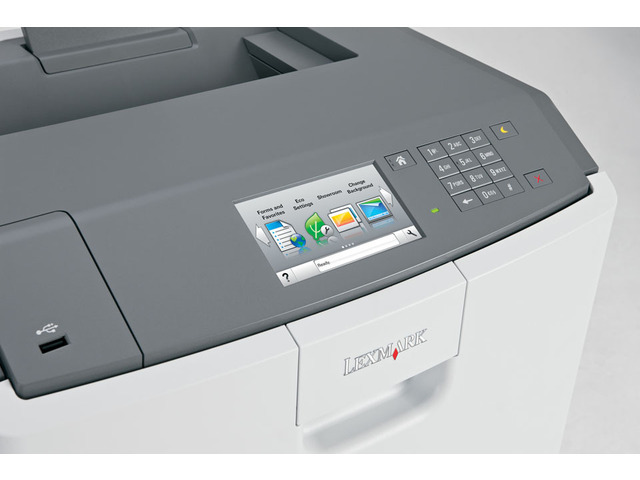 The high-speed processor and gigabit Ethernet networking mean fast data transfer and fast processing even on complex colour documents. The easy-to-use 10.9-cm colour touch screen provides audible feedback and tablet-like navigation to make device operation intuitive and simple. Match corporate colours on marketing collateral and brand-sensitive text and graphics with Lexmark Named Color Replacement and PANTONE® calibration. *Average continuous black or continuous composite CMY declared cartridge yield in one-sided (simplex) mode up to this number of standard pages in accordance with ISO/IEC 19798. Vinyl Labels, Paper Labels, Card Stock, Plain Paper, Transparencies, Envelopes, Refer to the Card Stock & Label Guide. 3Average continuous black or continuous composite CMY declared cartridge yield up to this number of standard pages in accordance with ISO/IEC 19798. Allow standard image files to be run as a timed slideshow on the touchscreen, transforming the display into an advertising medium, teaching tool or message board. Allows a user to enable a custom background on the e-Task display. 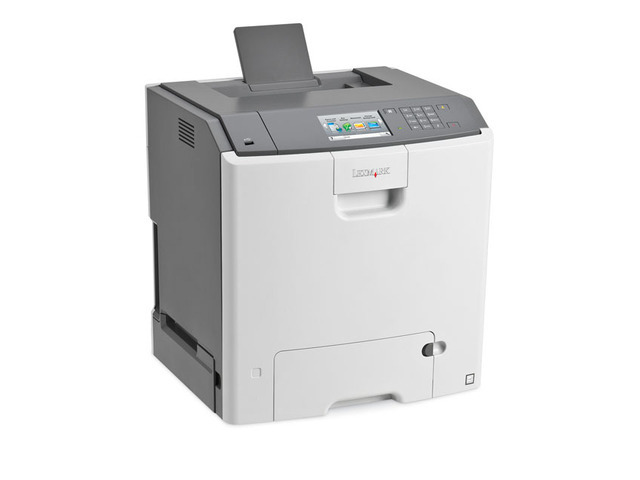 Change device settings to enhance environmental savings: Eco-Mode, two-sided printing, time to standby mode, time to power saver mode, screen brightness and quiet mode. Keep frequently used forms and documents easy to access. Businesses save money by eliminating preprinted forms.